Head to Crucian Gold and ib designsfor plenty of shopping. Visiting Buck Island Reef National Monument and Rainbow Beach will get you outdoors. 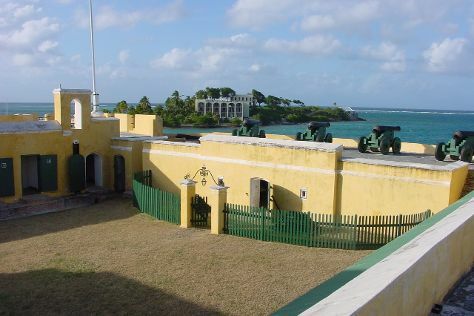 The adventure continues: kick back and relax at Rhythms at Rainbow Beach, tour the pleasant surroundings at Protestant Cay, steep yourself in history at Fort Christiansvaern, and identify plant and animal life at Cane Bay. To see maps, where to stay, traveler tips, and other tourist information, read our St. Croix trip planner. If you are flying in from United States, the closest major airports are Henry E Rohlsen Airport and Cyril E. King Airport. In November, daily temperatures in St. Croix can reach 87°F, while at night they dip to 75°F. Finish your sightseeing early on the 21st (Wed) so you can travel back home.